Wow, these days it’s like I blink and suddenly I haven’t blogged in a month. Well would you look at that, we’re already well into the second half of the year. This of course means it’s (well past) time for part two of my 2016 JRPG Report, a look at the second quarter of the most insanely populated year for Japanese role-playing games in recent memory. If you missed Quarter 1, click on over here. I mentioned this last time, but Q2 was indeed noticeably less intense for JRPG fans than the opening three month period. I was able to dabble in most of the notable releases within the genre this past quarter, even taking into account the dense explosion of quality triple-A videogame releases that defined May. I even managed to finish one or two along the way, in a manner of speaking, which was nice. The biggest JRPG-related struggle I faced this time around was that of classification – I came right up against that nebulous chestnut of a question “What makes a game a JRPG?” on more than one occasion. I’ll get to perhaps the most controversial of these classification conundrums shortly, but first, to the game that contextualises it. Stranger of Sword City launched on Playstation Vita in late April (It was also supposed to release on Xbox One as it did in the US, strangely enough, but no such luck for Australians), a first-person dungeon crawling game with punishingly difficult moments and beautiful sprite-based artwork. In many ways I found it to be a more visually striking, mechanically deeper version of Demon Gaze, a dungeon crawler I had enjoyed far more than I expected back in 2014. This makes sense given they come from the same developers, but it was good to see nonetheless. Though I only played enough of the game to get a good grasp of what it is, I am glad I did, and I’d recommend it to any Vita-owning JRPG fan looking for a substantial challenge. The finely detailed art style pops off the Vita screen to make it even harder to escape the game’s punishing grasp. 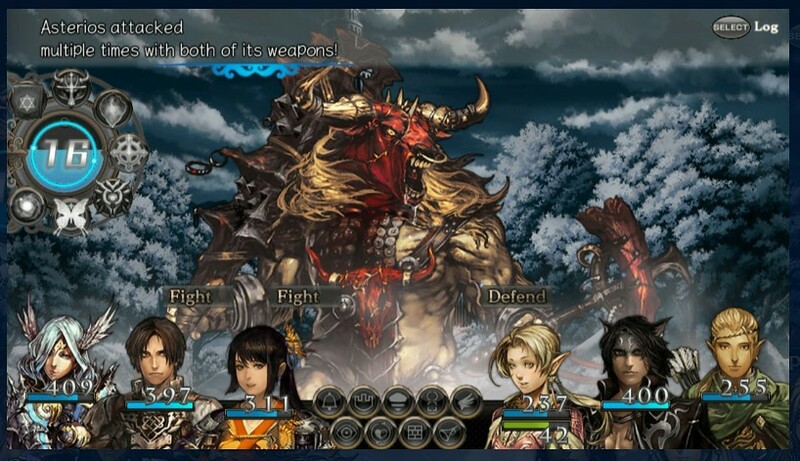 Now Stranger of Sword City is a first person dungeon-crawling RPG (a subgenre that in some circles is simply shortened to DRPG), and Q2 of 2016 featured another such game – a Playstation Vita exclusive to boot. The game was not developed in Japan, but exhibits enough JRPG elements that I believe it deserves to sit in the same camp as Child of Light and South Park: The Stick of Truth, themselves Japanese Role-Playing Games in all but country of origin. The wonderful game I’m referring to is Severed. Developed by Canadian studio Drinkbox games, Severed ‘s clever blend of strategic, fairly unique combat, fun levelling mechanics, morbidly oppressive Aztec atmosphere, eye-catching visuals and focused story make it well worth playing for the JRPG-inclined, and if you don’t have a PS Vita, the game is allegedly coming to 3DS and Wii U very soon, and has just recently launched on iOS devices. Don’t miss it. Next up for the quarter is Valkyria Chronicles Remastered, which I picked up on PS4 upon its launch back in mid-May. Despite having already launched on PS3 almost a decade ago, this re-release is the first time the game has been available with PSN Trophy support, making me much more interested than I had been previously. As it turns out this budget-priced edition is far from dated in the looks department – In fact it looks shockingly good, boasting plenty of animated cutscenes that use a sketch-art filter to ensure they hold up surprisingly well. It’s also fun to hear a few voice actors that can be described as prolific nowadays, but weren’t when the original game was released. Gameplay-wise VCR (heh) is an exciting example of what can be achieved when a turn-based strategy core is manipulated in creative ways. Working similarly to the combat system of last year’s Code Name S.T.E.A.M, the game lets you choose which units to spend a “turn” on, granting them the battlefield energy to engage in semi-real-time shootouts. This means you can more or less control how aggressive you want to be in any given mission, but having one or two units hog all the turns can overextend your army and lead to heavy losses. Your units will often take counterattacking damage even when you’re trying to play defensively, however, discouraging overly passive play as a viable strategy and giving most missions the feeling of linear puzzle levels. I suspect that will appeal more to some people than others. I haven’t played more than a handful of hours of the game, but I did enjoy almost all of my time with it, and at such a low price it has to be worth a look for anyone reading this post. Moving on to a game that technically launched at the very beginning of Q3, but released such a substantial demo a few weeks earlier that it bears talking about right here: The excellent strategy/traditional RPG hybrid Grand Kingdom. Equally at home on a crisp Vita screen or a 1080p PS4 system, Grand Kingdom demands spatial awareness and smart use of splash damage indicators to maximise the damage your battlefield units deal and minimise what they take. A combination of a smart three-plane system enhanced by deployable barriers and obstacles, deep party customisation options and some stunning art direction make for a pretty addictive experience, and one you can still try for hours upon hours – for free – through that aforementioned demo available on the PSN store. That was certainly all it took to convince me I needed the game, even if its time-sink nature has hampered my ability to play it much since. Staying with the Vita, the stealthy June release of mobile port Adventures of Mana (itself a remake of original Game Buy game Final Fantasy Adventure) came as a rather pleasant surprise. Oftentimes I’ll see a game that looks right up my alley come out on the iTunes or Google Play store, but then have face the disappointment of atrocious touch-simulated traditional controls. So porting these games to Vita makes a lot of sense and I’m kinda surprised it hasn’t happened more – low install base or not. Adventures of Mana makes a pretty good case for the idea, because it boasts some simplistic yet addictive systems, vibrant colours and a story that gets you right into the action immediately. I’ve heard stories of some bugs in the game but haven’t encountered any myself, leaving me with the distinct impression that JRPG fans looking for something in the pick-up-and-play department should absolutely give this one a look. Time to round out this section with a big one. 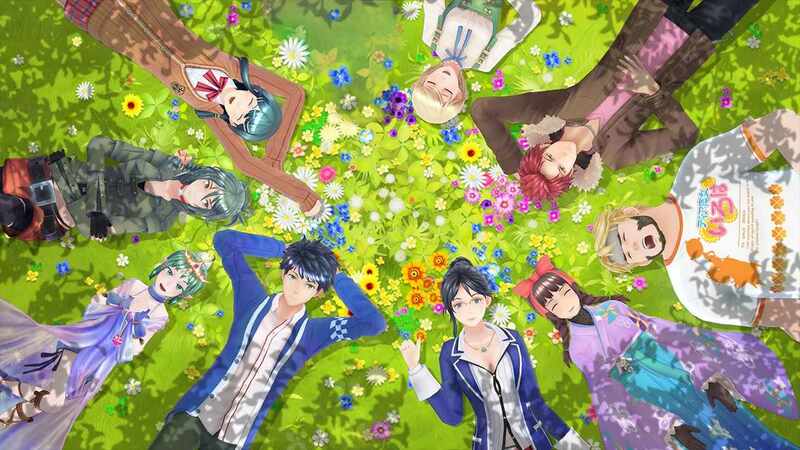 The very late June release of Tokyo Mirage Sessions #FE was a much-appreciated tonic for Persona fans waiting anxiously for next year’s flagship release Persona 5 – myself well and truly included. Once billed as a crossover between the Shin Megami Tensei and Fire Emblem series, #FE ended up as very much its own beast, leaning more heavily on SMT conventions than Fire Emblem ones and drenching itself in irrepressible J-Pop/modern Tokyo culture lashings. The Persona comparisons are fair, but dangerous. 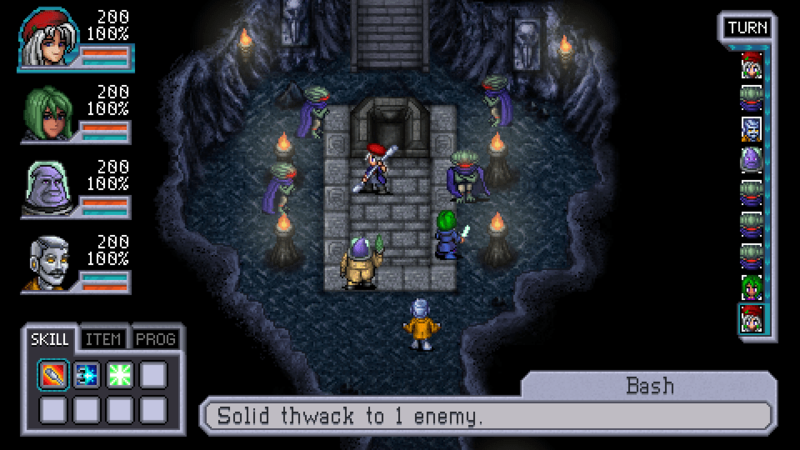 Given #FE‘s presentation (There are stylish menus everywhere and much like the later Persona games, one main colour dominates them – in this case electric lime green), as well as its general story flow and the triangular, weakness-focused battle system it chooses to employ, one could easily be excused for calling the game a “Persona-lite”. But don’t expect to find any of that series’ greatest strength – the social link system – here. There’s something similar, as each major character is given a reasonably satisfying arc that caps off with a new (musical) in-battle bonus, but these arcs are far more linear and feel less integral to the story than they do in Persona 3 or 4. Nonetheless, the game has surprising staying power and I’m looking forward to continuing with it over the next few months. 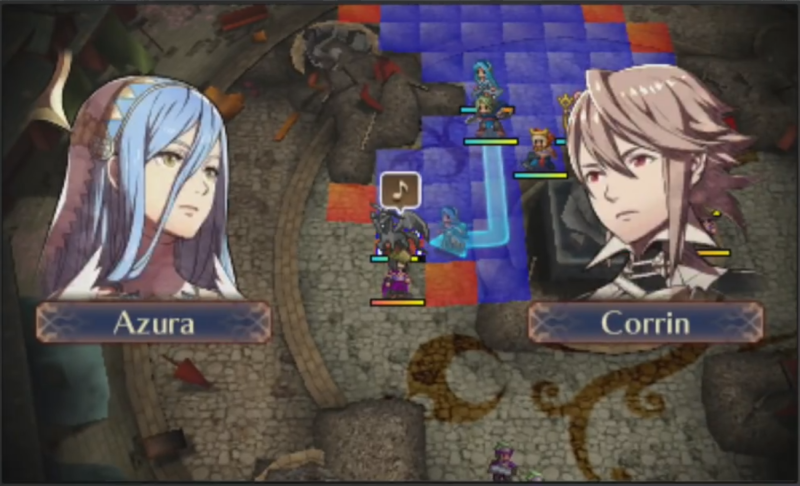 I wasn’t entirely sure how to feel about Fire Emblem Fates. The two hours I had played of predecessor Awakening during the ridiculous 3DS-dominated year of 2013 were enjoyable enough – and looked striking in sprite-laden stereoscopic 3D – but distractions were bountiful around that time and so I never got the opportunity to shake that nagging feeling that what I had tasted was like Advance Wars, but it wasn’t Advance Wars. Unfair? Sure. Luckily the groundswell of hype around me as Fates approached was so intense that I practically had no choice but to give it a try. I picked up the special edition of the game, which features all three of the game’s campaigns, Birthright, Conquest and Revelations, and started up Birthright, allegedly the most straightforward and beginner-friendly of the three paths – not to mention the one with the more samurai-flavoured central family and classes. 61 hours later I found myself looking at the charming end credits screen having struggled much more than I thought I might through a surprisingly emotional story. In light of what the experience had taken out of me, I decided I didn’t have another 120 hours worth of time to devote to the other two (supposedly harder) stories, and called it a day. Initially I was grasping at straws attempting to find the elements that might categorise the game as a JRPG, as it had so frequently been described to me prior to release. It seemed like much more of a strategy game with light role-playing elements, drawing on that Advance Wars DNA. That sentiment did not last, of course, as before long I was poring through equipment lists, skill combinations, castle layouts (via some great use of StreetPass) and – most pertinently – character couples to piece together a strong enough team to make it through the story. And what a story it was. With bountiful character introductions, plenty of banter and dramatic double-crosses aplenty, I found myself wanting to keep playing just to see the kingdom of Hoshido’s tale through. What’s more, contrary to some of the opinions I have heard from friends heavily invested in the series, I firmly believe that Birthright can work as a self-contained narrative. It has just enough loose ends to tempt a discerning player to move on to the other versions of Fates, while still offering a satisfying enough conclusion for the time-strapped. So I implore you, dear reader, if you were on the fence about the game for such a reason, rest easy and go buy it. 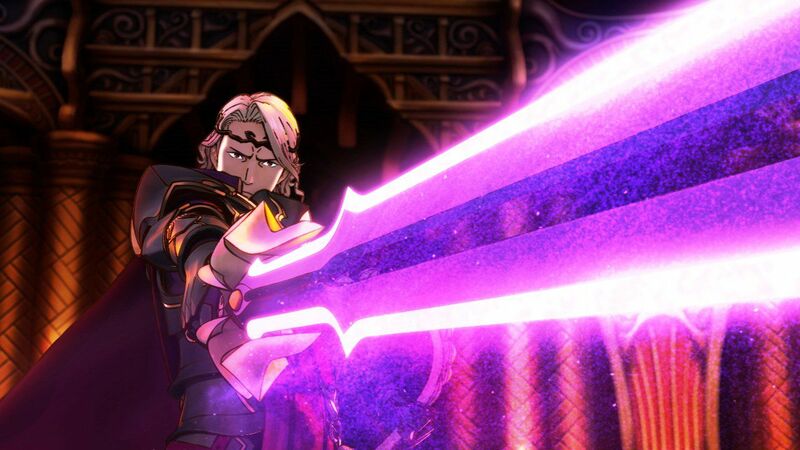 Happily offering plenty of the kinds of stressful strategic dilemnas that sustained my affection for the Advance Wars series for so many years, Fire Emblem Fates forges its own role-playing identity through plentiful layers of micro-management and good old fashioned RNG, synergising with a worthwhile story and – for what it’s worth – some tremendous StreetPass functionality to give it the edge over the other JRPGs this past quarter. The 3DS is now two for two in this rambling post series. This list is mercifully not all that long! In terms of JRPGs I didn’t quite get to from April to June, only two really stand out. The first is the action-focused Knights of Azure, which released very early in Q2 and flew by without all that much fanfare. Sadly none of my friends played it, but its fairly decent reviews and relatively (for a JRPG) short length might motivate me to pick it up in a sale one day in the future. The second, higher-profile game is Odin Sphere: Leifthrasir, the highly regarded hack-and-slash PS2 remake from Vanillaware that technically launched in full physical form on PS4 and Vita July 1st, but snuck out digitally a few days earlier, qualifying it for this page. But my lack of hands-on game time with the game was more deliberate than usual, as I handed the game off to my brother in the knowledge that he could be relied upon to make some serious progress in it. Judging from what I watched him play, and by pretty much all other accounts, this new edition of Odin Sphere is excellent. The hand-crafted visuals are next-level gorgeous; the best work yet from a studio renowned for its crisp sprites and flowing animation. Everything from the level-up system to the way the game handles shops is off-beat and charming, while the ensemble cast and interlocking story feel suitably grandiose. The game brings forth a constant stream of challenges to your preconceived judgements when it comes to villainous characters and serves up screen-filling bosses Muramasa–style. I’m glad I was able to live this gem vicariously through someone. I was going to throw this section in there for the dual reason of mentioning Bravely Second again, my top pick for the year’s first quarter, and setting a precedent for the very busy quarters remaining. But I haven’t played all that much Bravely in recent months, truth be told, and over the last few days something else has come up that’s more worth a mention: Pokemon Yellow Version. Sure, it’s hardly a new game, but the significantly improved 3DS re-release it and its brothers Blue and Red Version enjoyed this February were accompanied by enough fanfare that it might as well be. I downloaded this new wireless-trade-and-battle-enabled version of Yellow on day one of its release, waiting for the opportunity to get some friends together and play. But that opportunity never eventuated, and I kinda forgot about it. Fast forward a few months and the hype for Pokemon Sun & Moon is now so intense that I jumped into Yellow on a whim a few days ago. Now 12 hours in, I’m having a tremendous amount of fun with a team I normally wouldn’t touch: Parasect, Fearow, Sandslash and Clefable. Playing my first-ever videogame again comes very naturally, like ultimate gaming comfort food, and while I do play Yellow in some form at least once a year, I rarely get beyond the second gym badge because that’s usually how much progress I can make in a single lazy day. Having just beaten the fourth gym at the time of writing, I intend to go all the way to the Elite 4 for the first time in a decade, because why not? 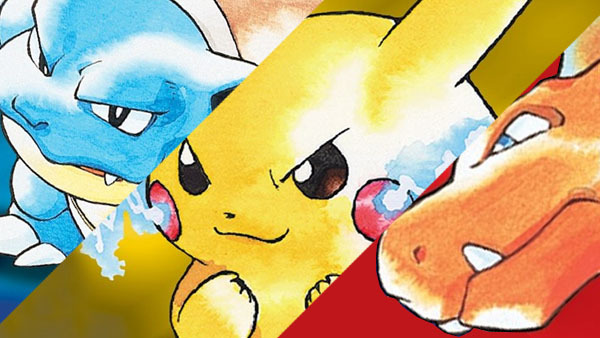 Pokemon is well and truly back, and it feels apt to celebrate like this! Yes, yes, at the time of writing we are already a month into 2016’s third quarter, but since I literally have not played a single second of any of July’s releases, let’s pretend for a bit, yeah? Had the stars aligned differently, Q3 could have been a much busier period for JRPGs, because that’s when Persona 5 is launching in Japan. But now that we know the Western release window (February 2017) it seems the period will be a little more manageable. Which isn’t to say there aren’t an awful lot of them to sink one’s teeth into of course. The quarter has already started with a bang with the release of Star Ocean: Integrity & Faithlessness, which is at the very least a big name, though the reactions have been less than glowing from its fanbase. At some point I will dive in and see what it’s like, in one form or another. Then there’s I Am Setsuna, the debut project from Square Enix’s own Tokyo RPG Factory. Out in mid-July, the game built its hype by purporting to be an old-school Square JRPG, complete with Chrono Trigger battle system, minimalist presentation, single-focus narrative and Tomoki Miyoshi piano score. I was excited enough to put a preorder down on this digital-only PS4/Steam release, and when I find a decent enough window of free time (surely, surely one is coming) I will jump in. I’ve heard mixed-to-positive things, so here’s hoping. On to a couple of significant re-releases. Fairy Fencer F: Advent Dark Force has just released on PS4 and promises a suped-up version of one of the PS3’s better-received late “budget tier” RPGs. I’ve actually played the first few hours of the original on Steam, where I was amused by the refreshing antics of protagonist Fang, a deliberately against-type anime protagonist who really can’t be bothered saving the world. 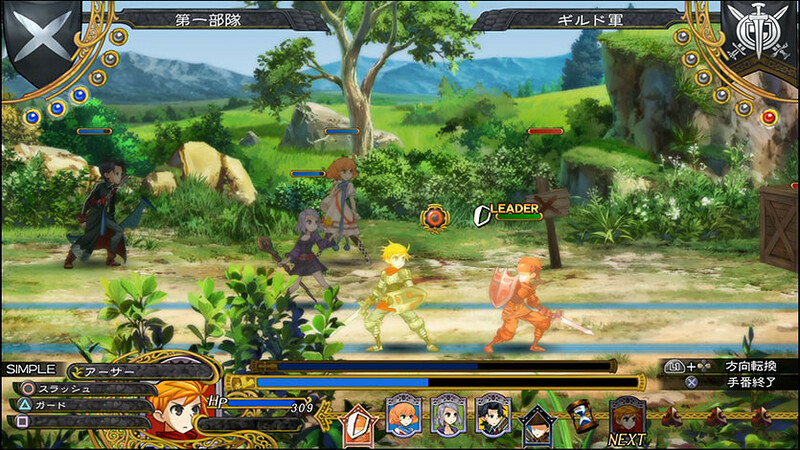 An action JRPG with a transformation-heavy battle system, it should be worth another look. God Eater Resurrection is another re-release, this time of a PSP game that did actually make its way west but didn’t find a big enough audience to pave the way for its sequel out here. 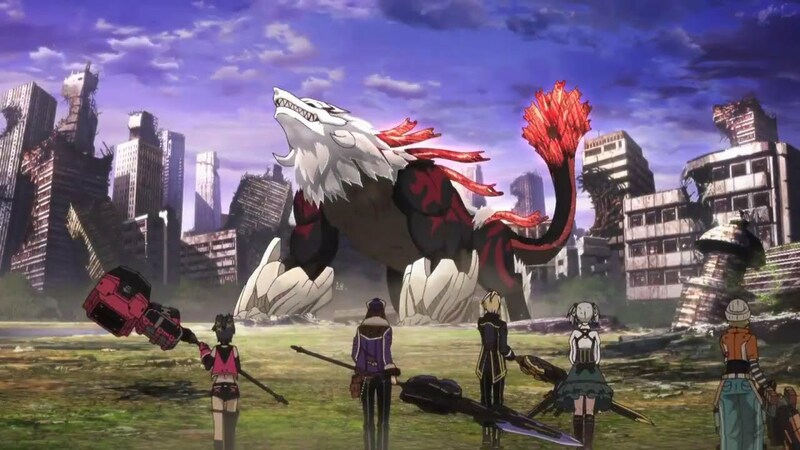 Lucky, then, that it will come packed in with the western debut of God Eater 2 on both PS4 and Vita at the end of August, and the original’s vocal fanbase is sure to be happy with that. Personally I’m curious to see whether the games have enough JRPG qualities to make them relevant to the next one of these posts, as they supposedly share some DNA with the more customisation-heavy Monster Hunter series (which is essentially a western RPG franchise that happens to come from Japan – maybe one day I’ll find the time to explain why). Time and experience will tell. Speaking of nostalgia and indeed Kickstarter, Cosmic Star Heroine is supposedly due for release sometime this quarter barring last-minute delays. Sprite-based games of its kind are deceptively expensive and given its long development time, I really hope the SNES-loving 80s science fiction homage turns out great. Personally, given the embarrassment of riches in the turn-based RPG department right now I don’t know how much I’ll play it – oh wait it’s coming to Vita, pretend I didn’t say that. And then, on the very last day of Q3, we get the big one. Finally, Final Fantasy XV will grace us all with its very late-arriving presence, and the questions will at long last have answers. Was the wait worth it? Has the project’s change of director helped to make the game worth playing, rather than just help the game ship? 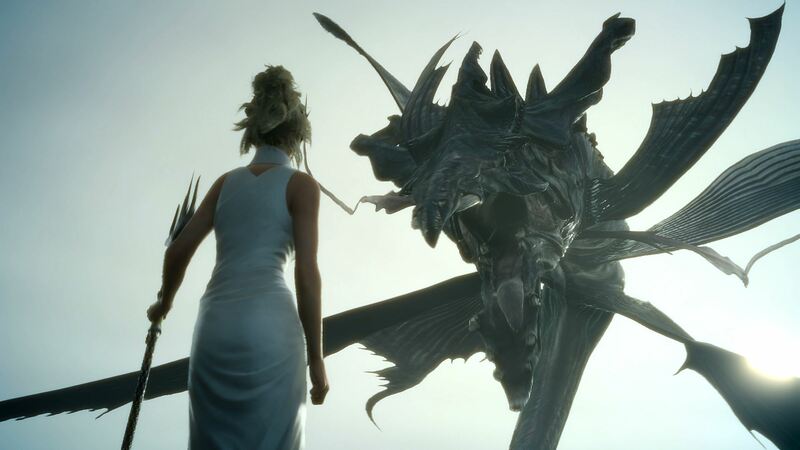 Is the main Final Fantasy series back in form after all the disappointments of the last decade? Is the game fun? We will see. I can’t quite discern how much of my personal excitement for this game comes from morbid curiosity and how much is just genuine hype, but I know I really want to play it, and one way or another, it will be good to finally be done with the whole saga after all these years. Bring it on.